Digital TV Converter Box Installed! Over the weekend I installed the digital TV converter box. For my non-U.S. readers that didn’t know about this, the U.S. government wanted to take back the frequencies currently used for analog TV, and to make all TV channels digital. So by February 2009, you are supposed to have a digital TV, or have an analog TV with a digital TV converter box installed, or otherwise you might not be able to watch TV, since they might stop sending analog signals altogether. The installation is sort of confusing. Actually it wasn’t that confusing, but my trying to fit the VCR into the chain complicated the matter. Anyway, it was done now. There were more digital channels than the analog ones, so that I do appreciate. And there were no blurry channels. What was annoying was that some channels were broadcasting in 16:9. Since we have a 4:3 screen, you see black stripes above and below the 16:9 image. However, how does a 16:9 channel sends out signals for old programs that were produced in 4:3? Yep, they have black stripes to the left and to the right of the signal. Compound those two effects together, you get a 4:3 program that was shrunken, with huge black borders around it. That’s kinda annoying. I do appreciate the extra channels, especially the many more PBS channels. What’s really awesome about this digital channel thing though, is that I get Qubo. Yeah, yeah, it’s a children’s channel, but guess what’s on children’s channel? Yep, you guessed it, puppet shows. 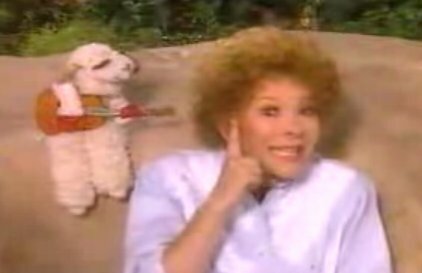 I watched Lamb Chop’s Play-Along, and although I had fun watching it, it really really bugged me. How did they control the arms of Lamb Chop? Where are the rods that moves the arms? That really really bugged me. If it’s not shown, then it must be hidden inside the puppet. But the arm movements are so fluid! 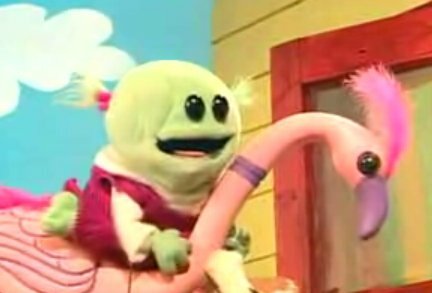 I looked up some live performances of Lamp Chop on YouTube, but the puppeteer focused on the mouth and didn’t do much with the arms, so I didn’t figure out much from it. I was pretty sure that the rods have to be hidden in the puppets, but damn, the motions looked good. How did they do that? I totally wanted to find out. 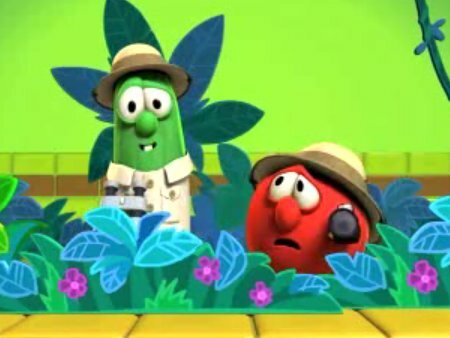 Correction (07/20/2008): It turned out that I saw Nanalan on a digital channel of KLCS (a local PBS station) instead of Qubo. No wonder that I couldn’t find it on the Qubo online line-up. But, Qubo is still awesome nevertheless. Just got a google alert with your blog about the qubo channel. I work at the channel so I really do appreciate your comments. BTW, we sing the Hairbrush song here at the office….all the time….so we agree that it is hard to get it out of one’s head!! Enjoy the channel! Ahaha, we sang that song at the office too… well, mostly just me. Have you heard the Japanese version? I heard it online once (too bad I can’t find the link anymore) but the voice acting sounds exactly like the original. That was interesting. The Lambchop song used to get stuck in my head for days! I can’t help but wonder why they are doing this. These days, it seems like everything the government does has an evil backstory behind it. Some said that they wanted to take back that chuck of radio frequency for military use, so simply to re-organize things for other wireless usage. That’s not necessarily a bad thing. What I’m more concerned with is that people are going to throw away old TVs in a very short period of time. These things contains lead to block radiations from the CRT screens and can be very bad for the environment if not handled properly.